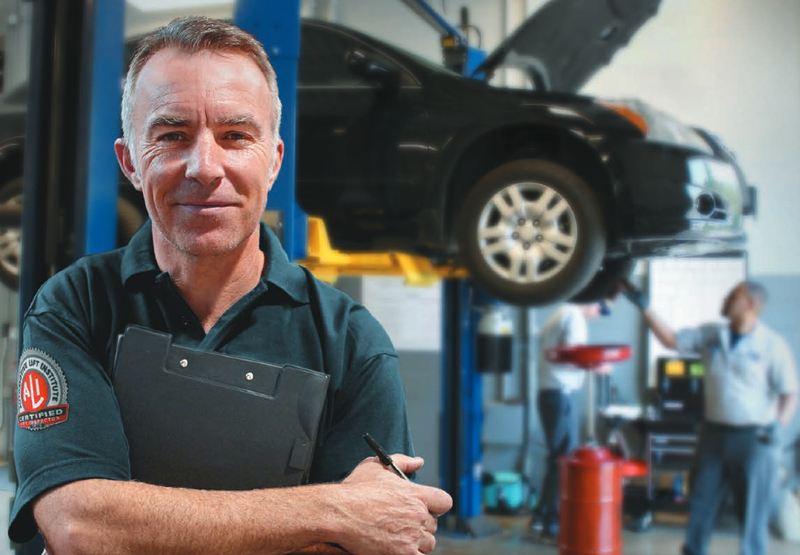 What happens during the annual car lift inspection? During the inspection, the inspector is looking to confirm that all of the lift’s components are in place and in working order. Most importantly, that your lift is SAFE. Examining all accessible structural components, including welds, for any evidence of overloading, misuse or abuse. Examining electrical components and wiring. Checking the lift controls to ensure accessibility, an unobstructed view of the lift and an automatic return to the neutral or “off ” position when released. Locating appropriate lift documentation, safety instructions, vehicle-lifting information, lift safety labeling and capacity labeling. Confirming adequate clearances around the lift. Checking all fastening devices for tightness and proper fit. An annual lift inspection includes a thorough evaluation of the entire vehicle lift. Checking the lowering speed over the full down travel of the lift. Operating the lift through its full cycle and checking the operation of the positive stop. Checking to see if the lift locks engage in the fully extended position. Checking all lubrication points for cleanliness, integrity of fitting and presence of lubricant. Checking all chains and cables for excessive slack. Checking all potential pinch points. The standard is just the starting point. Every lift manufacturer should provide specific directions for inspecting each of its lifts. ALI Certified Lift Inspectors are qualified to inspect any brand or model of vehicle lift. Please visit https://www.autolift.org/ for more information.